While the idea of a key-shaped bottle opener isn’t completely original, CXXVI does it the right way. Made with hand forged steel and hammered out on a 130 year old anvil, this sucker is rustic, sturdy, and incredibly useful to boot. Best of all, the thing should only look better over time, as it will develop a dark/light contrast with age and use. It’s about 2-3/4″ long and comes on a 22″ chain. 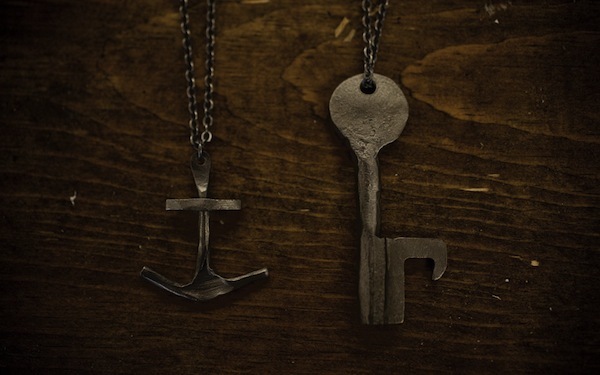 While you’re at it, check out their Anchor Necklace, made the same way: Hand made in America. Available at the CXXVI Online Shop.